Education, getting outdoors, enjoying the environment. Dumfries and Galloway Show, August 18th and 19th 2018. With the castle in the background and the far reaching hills that spread away from Drumlanrig, it is a great setting for any outdoor activity, we do enjoy The Dumfries and Galloway Show. 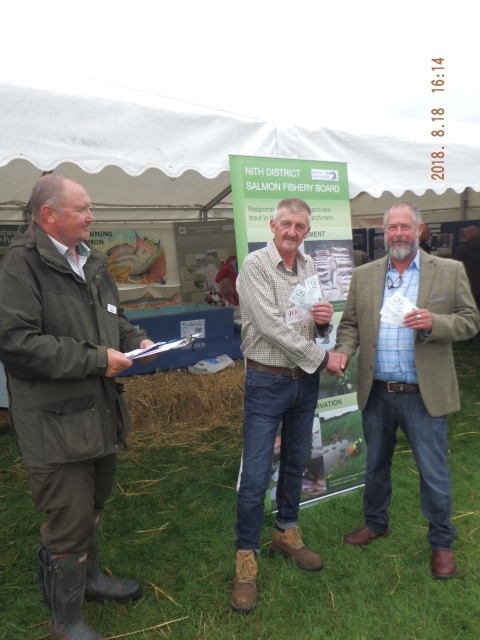 It is always a great pleasure when Borderlines work alongside the Nith Trust, we have done this show for many years now together and it has always been great fun. 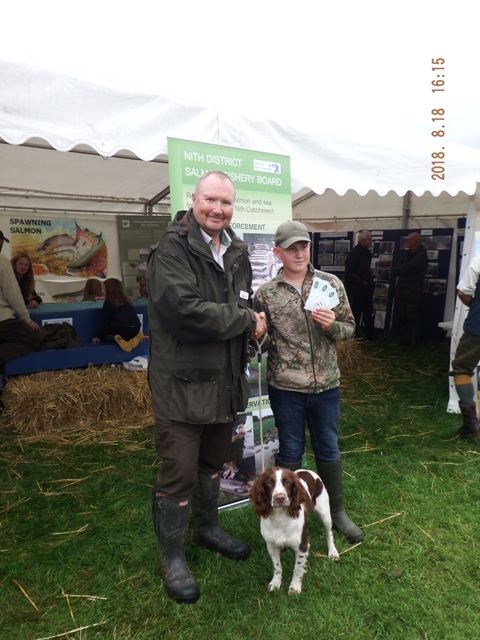 Over the weekend many people came in for a visit and a chat to see what good work the Nith Catchment Fishery Trust do, where they could find some fishing on the river Nith, look at fish and invertebrates in close detail and also to see what Borderlines had to offer. 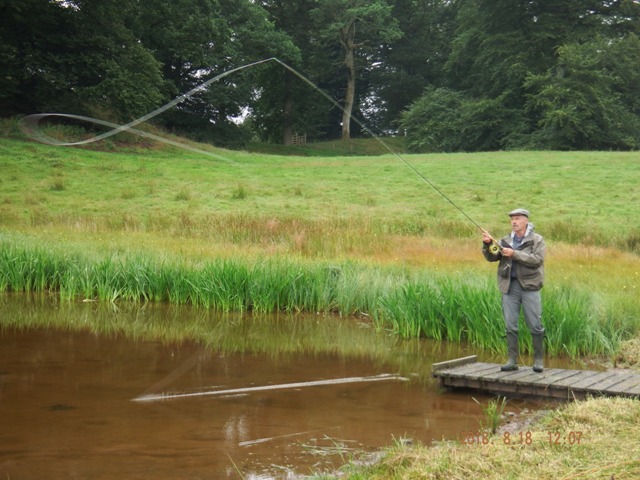 There were many fly casting demonstrations and casting clinics on both the pond and the main arena. It was well attended on both days and there was hot competition on the target casting from adults, juniors and family. The fly casting target competition. A happy second place for the family. Borderlines secretary Derek Kelly presenting one of the prizes. 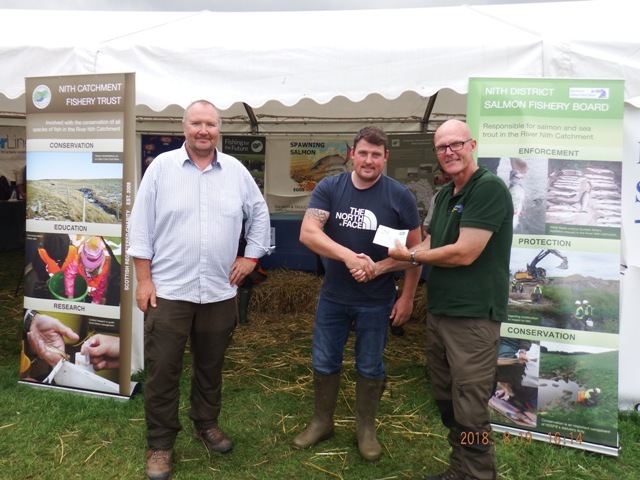 Jim Henderson of the Nith District Fishery Board presenting Andrew his prize. A joint first place Saturday! Jason with first place on Sunday. Runner up for Steve on Sunday. 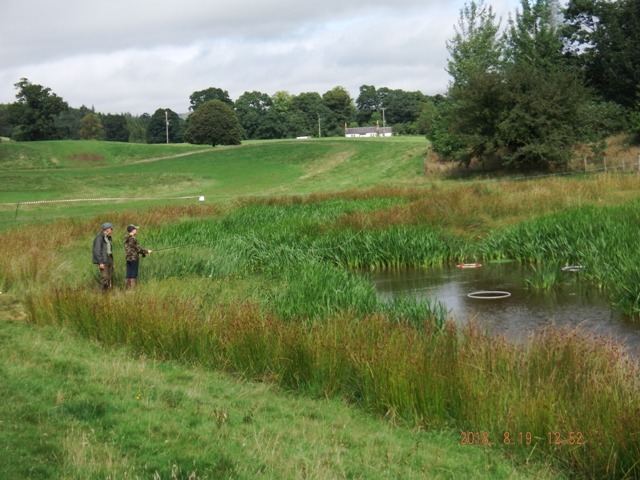 The Nith trust have been running the Nith Young Anglers Club now for the second year. What was very evident, is that some of those anglers are now self sufficient and two of them have won prizes this weekend, it is definitely working! 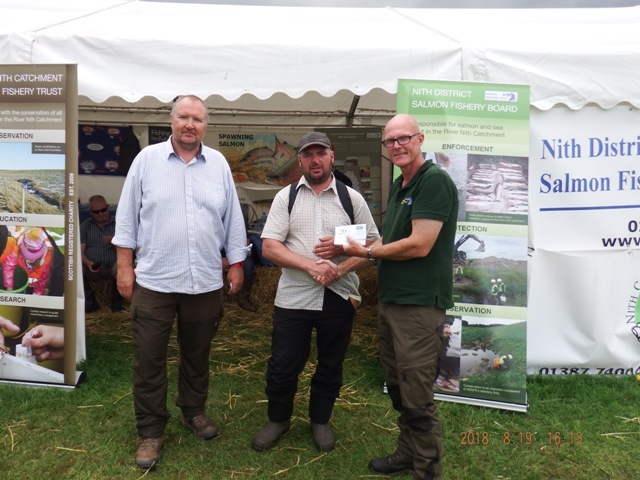 A very big thank you to the organisers for supplying all the John Norris gift vouchers for the prizes and for a very well organised show this year. 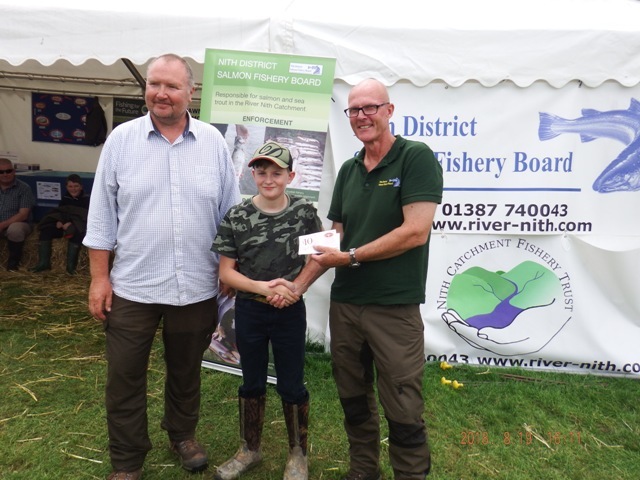 This entry was posted in Borderlines, education, environment, fly fishing, Nith trust, River Nith, Schools, Scotland, youth and tagged anglingforall, Borderlines, Buccleuch, education, environment, family, Fly fishing, funding, Nith Trust, outdoors, River Nith, youth on 20th August 2018 by Glyn Freeman. Nith Young Anglers Club, April 9th 2019. St Josephs College, 3rd April 2019. Nith Young Anglers Club 23rd March 2019. The Nith Young Anglers, September 1st 2018. 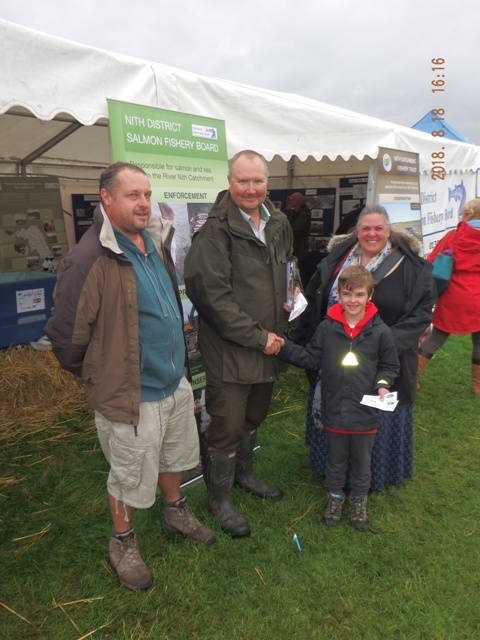 Lowther Show, August 11th and 12th 2018. Nith Trust Angling Taster Day, 24th July 2018. Angling Taster Day, July 10th 2018. Nith Young Anglers Club, June 11th 2018.